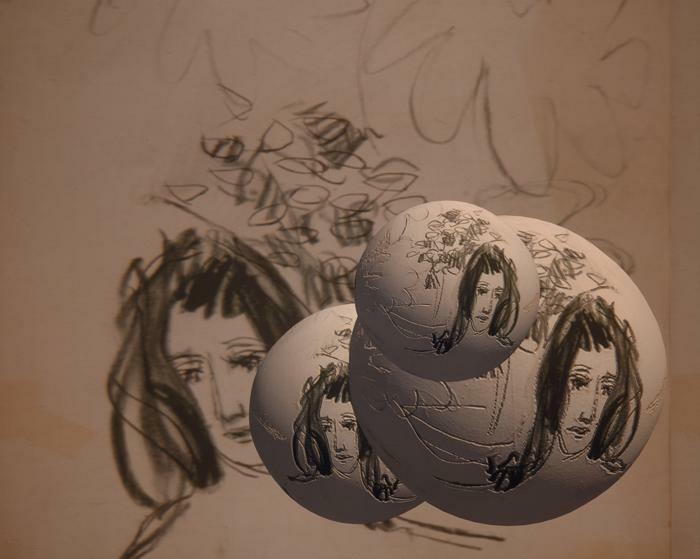 In Caroline, Csuri uses a quickly drawn sketch of his daughter as a texture map. The artists traditional drawings, calligraphic paintings, and works made with poured paint (late 1950s  early 1960s) are spontaneous, fluid, and graceful. Such spontaneity was more difficult to engage in 1989 when making computer art. Caroline is lively and captures the joyful play of youth, placed in a three-dimensional space of possibilities. This combination gives the work an interesting visual structure that would have been difficult to achieve through the exclusive use of either traditional or computer media.